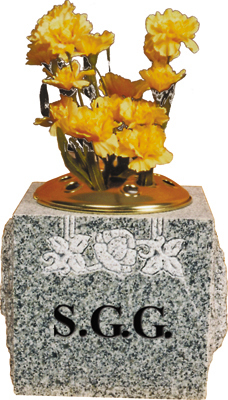 Home Memorials Memorial Vases S.G.G. A karin grey granite vase with floral carving. It has a polished face, sanded top and rest rustic.